Sedans are a fine and respectable type of car to buy. They are often very practical and sane vehicles that fit just about everyone. It’s a safe choice that can sometimes feel a little bland, but it doesn’t have to be that way. With a savvy design and some bold features you can easily stand out from the crowd with a sedan. 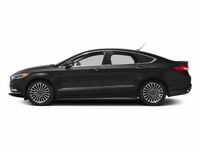 Cars like the 2019 Ford Fusion offer a suave style both inside and out that will make sure no one confuses your car for the other cookie cutters. Let’s take a quick look at the details for the Fusion so you know exactly what kind of machine you’re getting. There’s a lot more to list off, but we would be going for a long time. 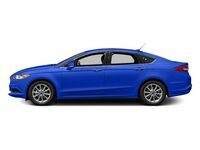 If you want to get a feel for the 2019 Ford Fusion or find out more about all the features it has to offer then stop by our dealership and schedule a test drive. You can also call ahead with any questions and we’d be happy to help.